We know so many of you love playing and watching bowls, so we have submitted a proposal to the Unicode Consortium, the group that decides on new emojis, for a new bowls emoji to be added! Whilst there are emojis in a variety of sports, including golf, curling and martial arts, bowls is currently unrepresented. This is despite the sport being played by around 400,000 people in England alone, being included as an official Commonwealth Games sport and the World Indoor Bowls Championships being viewed by millions at peak times in January 2018 on BBC TV. 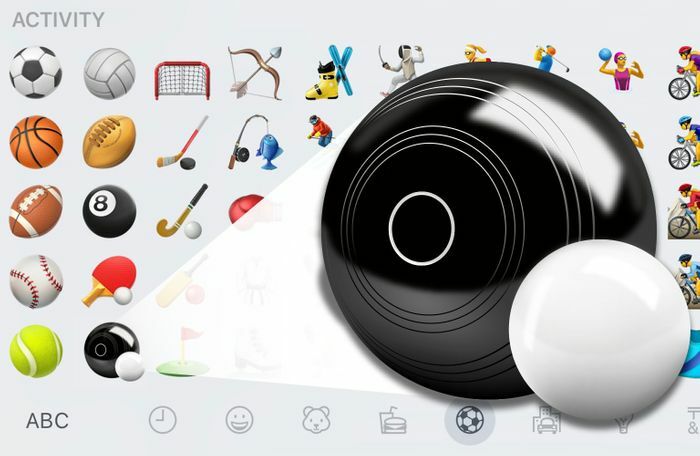 We caught up with John Potter, who said: “We have submitted a proposal to the Unicode Consortium for a new emoji, because bowls is a sport loved and played by so many people and all different ages around the world. It is one of Britain’s quintessential sports and there’s not many other sports where an 80-year-old can beat a 21-year-old!" Our very own Bowls Ambassador and world number one ranked indoor bowls player, Greg Harlow, said: “As someone who has enjoyed playing bowls since the age of 11, it would be incredible to have the sport represented with an emoji. Bowls is a gentle way to get active and what so many people also love is the social aspect of the sport." "There’s various indoor and outdoor forms of the game, including short mat, flat green bowls, crown green and federation bowls, and the proposed bowls emoji would represent them all. There is a common perception that bowls is just played by pensioners, but people only have to turn on the TV to watch the Indoor Bowls Championships to know that this is not the case." Stephen Lowe, group communications director at Just Group, who sponsor the Championships said: “We are now in our sixth year of sponsoring the World Indoor Bowls Championships at Potters, and the popularity of the sport just seems to be increasing." There are currently 2,823 emojis in the Unicode Standard, and show us your support on Facebook for a bowls emoji to be added! The Just 2019 World Indoor Bowls Championships return to Potters Resort between 11th and 27th January 2019.